Only 1-1/4" high with 3/4" channel height and dog bone connectors. Load capacities up to 34,000 lbs. per tire - call for specific load capacities for each model. Heavy duty GUARD DOG® Low Profile Cable Protectors are the most compact, top-loading cable protectors on the market. 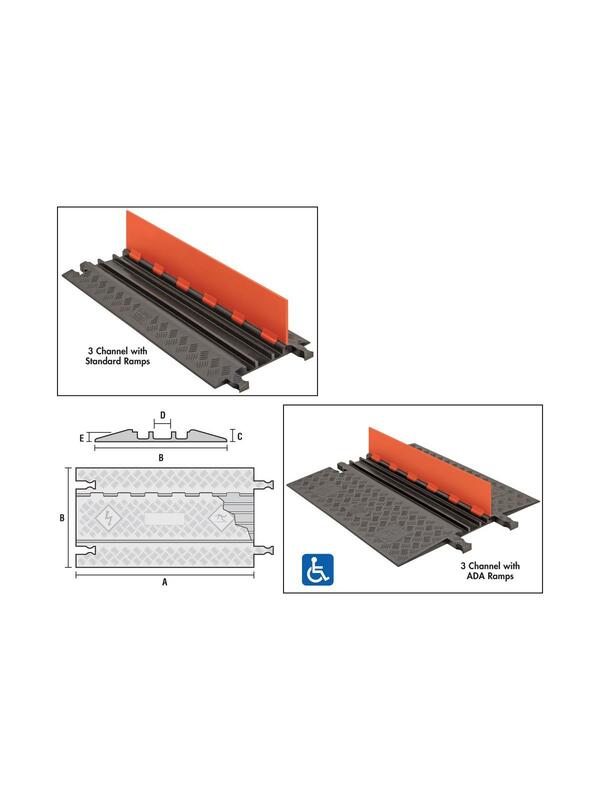 They provide a safe and easy crossing for vehicle and pedestrian traffic and are perfect for valuable electrical and delicate multimedia electronic cables. 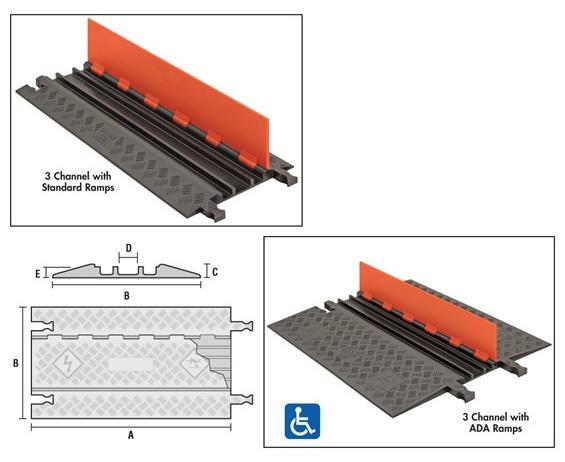 These low profile Protectors with Dog-Bone connectors are available with standard ramps or with low angle ADA Compliant ramps. Ideal for stage, studio, and broadcast applications. FOB Shipping Point. See Related Items tab for Guard Dog® Low Profile Cable Protectors - Anti-Slip Rubber Pad Kit.